Cannabissearch.com Buzz Rating: The effect is very noticeable by the time you exhale. Not only will you potentially be hacking up a lung (in the best possible way of course), but you'll also feel a strong body high that gradually transitions into a balance between a body stone and rushing cerebral stimulation. These buds have some of the best bag appeal around. They are very dense, large and swollen, as well as having a snowy dusting of trichomes that produce a big cough and intense effect. The aroma is of fermented fruit, candy and Haze, with a citrus/earth flavor. The breeder crossed a Jack Herer male with an Ed Rosenthal Super Bud female, and subsequently crossed the offspring with a Fruity Indica male. The result is a strain that can be considered an all-around medication. It's great for anything from migraines to treating nausea associated with chemotherapy. In a very consistent 8 weeks Pineapplegum will be ready for pickin'. Expect a powerful aroma of fruit and Haze to come off these ladies around week 6 or potentially a little before then. Pineapplegum will do best when grown indoors in either soil or hydro, but will thrive outdoors in a temperate environment that has warm weather through the end of September. Outdoors this strain will be ready for harvest by the first week of October. 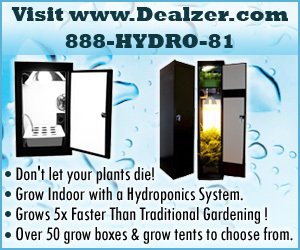 Expect moderate to heavy yields and plants that rarely grow over 40 inches indoors and 5 feet outdoors. These ladies spend all their time producing quality buds, rather than a tall plant. Pineapplegum 0 out of 5 based on 0 ratings. 0 user reviews.